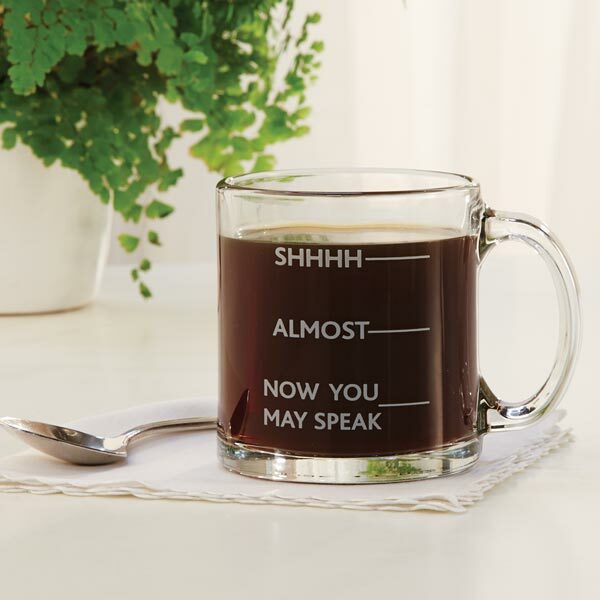 Fair warning to those around you, at home or the office: no talking until your first cup of coffee is almost gone. Clear glass mug holds 12 oz. Dishwasher and microwave safe. Buy 2 or more, $9.95 each!